Many of the messages you receive on social media are not social at all, but the result of automation. These items have been sent out using scheduling services, CRM systems, even software “bots” that can intelligently respond to messages. Frequently, on social networks, no-one is actually having a conversation with you; instead, you are talking to a machine. 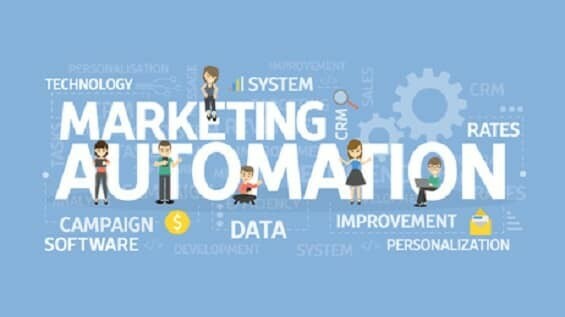 Marketing automation is commonplace. Indeed, without it, much of social media would not exist. To be visible on social media, companies need to be sending out dozens of Tweets, Facebook posts and LinkedIn updates every day. Indeed, the best-known companies that make the most of social media are sending hundreds, sometimes thousands, of messages each day. Sustaining that volume of output either means the company needs to employ dozens of people, at a high cost, or automation is required. However, there is a problem with all this automation. Research shows that when people realise that social media activity is automated, they have a reduced “parasocial” connection to the company. Parasocial connections occur when the recipient of the communication believes they have some kind of relationship with the sender. For instance, many people who follow celebrities on Twitter feel as though the individual is talking directly to them, almost as though they have a real relationship. It is the same with businesses. Lovers of brands feel they have a relationship with the company of their choice, but in reality, it is a one-way connection. However, those feelings of being involved with each other are lessened significantly when people notice that social media activity is automated. All of the benefits of a parasocial connection for a brand – such as loyalty – are eroded. In other words, social media automation can negatively impact upon a company. Much of that damage is because businesses have focused on the word “media” instead of the word “social”; social media is meant to be social. So how much automation is too much? Working out how much automation is “allowable” is tough. You clearly need to provide a balance between the amount of material that is automated and the volume of Tweets and posts that are “real”. Look at your social media accounts and see whether automation is apparent. If it is, then it is too much – simple as that. Obvious automation can be seen by Tweets and posts that are published at the same times every day for weeks on end. Another signal of too much automation is the lack of conversation. Social media is conversational. When those conversations are not obvious, the account is probably using significant amounts of automation. When any of these activities are automated, it is quickly noticed, and it puts people off. Another indication of automation is bursts of significant growth in followers. That happens when people are using software to find followers and add them automatically. The growth of contacts and followers should be steady and not suddenly leap. If you are using automation on your social media accounts you will save time; however that time-saving can be a cost. It can damage your reputation as well as remove brand loyalty.